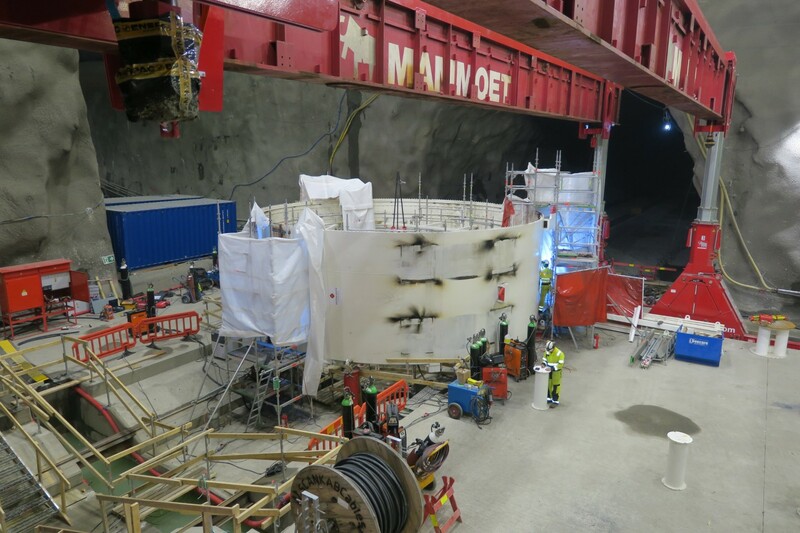 Last week the cutterhead and several big parts of the first TBM was transported down the 1 km long adit tunnel, to the big assembly chamber. 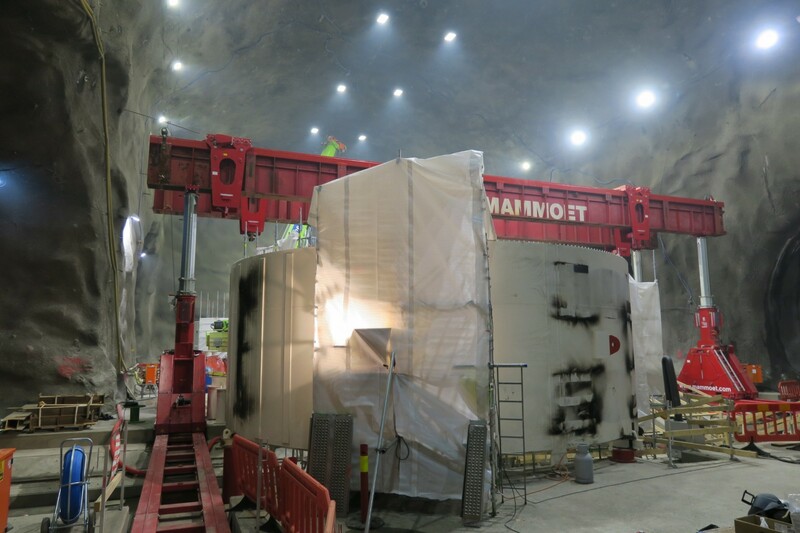 It is in this chamber the two northbound TBMs is constructed. 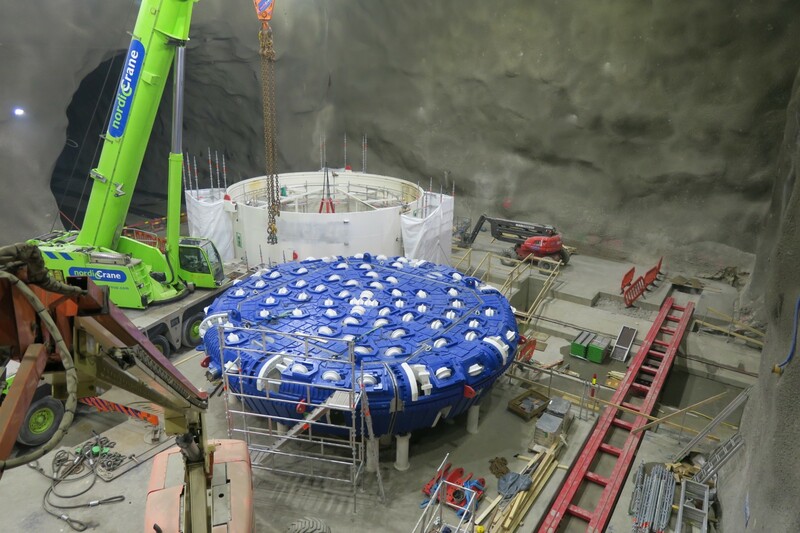 In a similar chamber the southbound TBMs will be assembled. 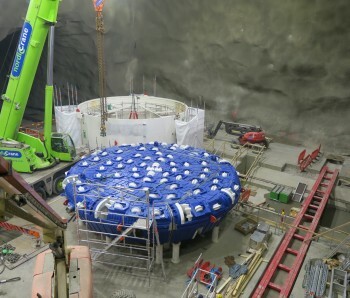 This first TBM is painted in Oslo-blue colour and is planned to start the excavation towards Oslo in September 2016. 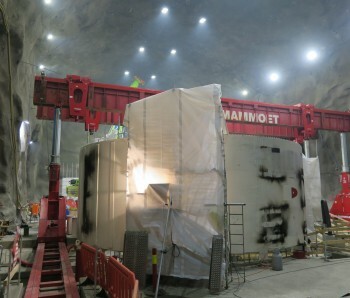 It will excavate about 9 km of solid rock on it journey towards Oslo. 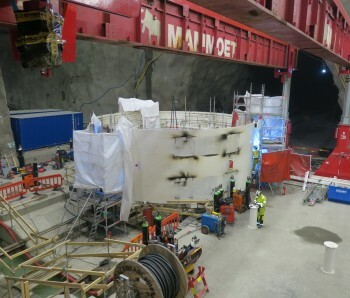 On an average day the TBM is planned to excavate about 12-15 m tunnel.